How Many Moles Have You Whacked Today? 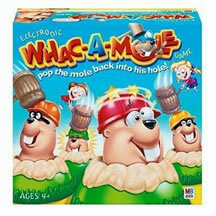 Do you remember the old “Whac-a-Mole” game? During my childhood we’d go to the arcade, pick up the oversized, soft, rubber mallet and whack plastic moles that would pop up at random from five holes in a waist-level cabinet. Every mole successfully whacked was worth 10 points, and we’d work ourselves into frenzy, whacking moles as fast as we could before time ran out. The app is available for the iPhone and Android devices, and there is even a $28,000 executive Whac-a-Mole cabinet complete with moles made in the likeness of friends, family, or co-workers and liquor and glass storage. How many moles have you whacked today? As executives, we want to keep our organizations humming along smoothly and efficiently, correcting and preventing mistakes wherever they pop up. We pride ourselves on being able to identify and resolve problems or quickly root out inefficiencies. We sometimes are frustrated at employees that don’t take initiative, for whom it seems we have to spell out everything. Bass & Avolio wrote about these employees, characterizing them as a “workforce of risk avoiders and individuals who work merely to standards using ‘traditional methods.’” Got a few of those? Here’s something that may surprise you. These followers “avoid attempts to innovate because they risk making mistakes and receiving negative reactions from their leader[s].” Could it be that the problem is not the employees….but you? Some time ago I used a quote in my signature: “If you aren’t part of the solution, you are part of the precipitate.” See what I did there? Are you part of the solution? Or are you part of the sludge that is holding your organization back, stifling creativity and preventing innovation? Maybe that executive Whac-a-Mole cabinet should be taken out of the office. At the 3rd Annual Chief Customer Officer Summit we’re going to be talking about accelerating leadership, and specifically about how you can go about becoming the leader that everyone respects and is excited to follow. If you are the senior-most customer-facing executive in your company, can you afford not to miss this event? I’m going to be talking a lot about leadership and authority in the coming months. I look forward to having you join in the conversation. “I drink Coca-Cola each day and I have my favorite Sunoco gas station where I go to get a fountain drink. The Sunoco station was out of the soda I like so I went to the nearby Mobile station, which is the only other nearby source for fountain drinks. I don't like the soda here because the syrup mixture is way to strong for me. As I entered, I mentioned to the manager that the mixture of syrup at his store is awfully strong. He said he would look into it. This morning he told me that he’d mentioned to the vendor that a customer had brought an issue to his attention and asked them to take a look at it. I was surprised as in my experience most people forget about the customer issue or blow off the customer and go about their daily business. The service rep discovered that the syrup mixture was double what it should be! In the back of the room, the machine pumps a specific amount of water & syrup into the tubes connected to the dispenser. The mixture had been very wrong for quite some time, costing the company double what it should have in syrup consumed. What’s more, the nozzle had to be replaced because it was getting all "gunked up", also costing the vendor in repair and replacement costs. When asked by the service rep, the manager of the Mobil station said, "the customer 'gets it'. He knows what the product is supposed to taste like." 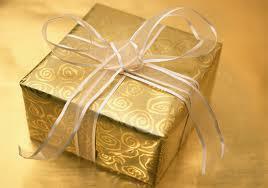 A simple, but powerful lesson: customer feedback is a gift. Listening to customers not only helps us better serve them, but can often save us money. How well are you listening to customers? How easy do you make it for customers to contact you to voice their concerns? How do you close the loop with customers, letting them know they’ve been heard? How do you thank them for their feedback? The next customer complaint you field might just mean a customer saved. How can you make everyone care personally about customers? What are you doing to create customer centricity at all levels? I was asked by the CCO of a mid-size B2C company what kind of things best-in-class companies are doing to inculcate customer centricity at all levels. What are you doing to help each employee move beyond the "yeah, customers are great, the company should treat them better" mode to that of, "Gee, here's something <I> can do for customers!" How can you expose employees to customers and make their impact on customers well-understood and intensely personal? Here are some examples, what would you add? New hires at UPS, no matter the level, all have to ride the trucks for a period of time to understand the core of the business: on-time delivery. A vendor brought in a frustrated customer to present critical product to a team of engineers who then spend the full day brainstorming and solving customer issues. A win for all: engineers got facetime with the customer who in turn got their issues resolved. 7.) Product or service “proving grounds"
LL Bean invites outdoor guides to a special weekend escape where they try out new products and give focused and even harsh feedback. Have employees monitor social media, discussion boards, and user communities. Sometimes the unvarnished truth comes out when people feel they are anonymous, or when they feel they have the microphone! Who are the lead users, thought leaders, or other most influential people within the customer base? A public utility identified some of the most influential people in the community and political circles and reached out to them to show how they had overcome a serious misstep that had customers and politicians in an uproar. What would you add to the mix? What have you seen that would make a difference? This week's featured Summit speaker is council member, Jasmine Green, Vice President & Chief Customer Advocate of Nationwide, who will be leading a discussion on creating a customer focused culture for Nationwide. Watch my two minute video on the Summit and Jasmine's contribution. The CCO Council 2011 Annual Summit is almost upon us and what better way to learn about its value than through testimonials from our members! In the first of a series of testimonials, Peter Quinn, CCO of Lawson explains some key takeways from the 2010 Summit. The CCO Council Annual Summit is the only place where CCOs can gather and openly share with true peers their successes, failures, and challenges. Here you¹ll learn what others have done before, and most importantly, gain answers to your most urgent issues. You¹ll walk away with a collection of new ideas, proven strategies, a handful of best practices, and new relationships to support your endeavors. I guarantee that the more you engage, the more you¹ll gain that will help ensure your success and increase your value to your organization, your CEO, and your customers. To view the full agenda and to register, visit our website, call Christopher Benoit at (978) 226-8681. I invite you to join me and your peers in the 3rd Annual Chief Customer Officer Summit on October 18-19, in New York City, where you'll learn, share, and network at the only forum in the world dedicated to Chief Customer Officers and other most senior customer executives. This year's Summit theme is "Accelerating Leadership." Learn more about our exciting agenda and world-class speakers from this three-minute video. How does one become a compelling leader? What are the traits, skills, and strategies of the most successful Chief Customer Officers? The highlight of the Summit is the awarding of the Chief Customer Officer Council's CCO of the Year award to the Chief Customer Officer that has achieved the greatest results for his or her company and for the overall perception of the role of the CCO.